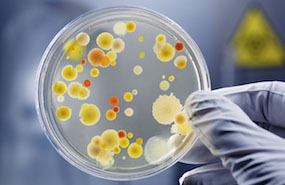 Microbiologists at Giessen University are using an Infinite® M200 microplate reader to look at the potential of engineered metal nanoparticles for treating water, inhibiting the growth of bacteria in drinking water at the point of use, and eradicating pharmaceuticals and other micropollutants from waste water. Researchers at JPT Peptide Technologies are using Tecan's HS 4800™ hybridization station to improve throughput and give a high level of reproducibility for patient sera screening with the Company's own PepStar™ peptide microarray technology. Researchers at the innovative stem cell company Cellular Dynamics International (CDI) have developed a novel, serum-free directed differentiation protocol, based on Tecan's Cellerity™ automated cell culturing system. The new method enables the maintenance of a uniform starting population of human induced pluripotent stem cells (hiPSCs), leading to the generation of hematopoietic precursor cells (HPCs). 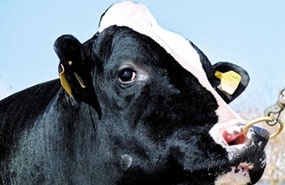 The Tecan Award 2011 built on last year's success and saw our customers submit a plethora of innovative applications for our detection equipment. Competition was fierce, with many ingenious entries, and third place was eventually awarded to Maria Isabel Pividori from the Universitat Autònoma de Barcelona, for her work on the detection of gliadin, a constituent of the cereal protein gluten. 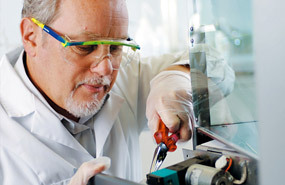 The Department of Pathology and Laboratory Medicine at Wentworth-Douglass Hospital relies on an FE500 pre-analytical sample handling platform and a Te-Care Service Contract, ably supported by Tecan's certified field service engineers, to ensure uninterrupted processing of blood samples for its clinical departments. Novartis is using an HS 4800™ Pro hybridization station to help profile and select antibodies for development into new biopharmaceuticals, relying on the system's throughput and reproducibility to efficiently prepare Protagen UNIchip® microarrays for analysis. Researchers at the Kyoto Institute of Technology chose Tecan's microplate readers and microarray processing instruments to develop highly sensitive immunodiagnostic technologies based on immobilized single-chain variable fragments (scFvs). Horse racing is an immensely popular sport worldwide and, with huge sums of money riding on the results, maintaining the integrity of racing is crucial for jockeys, trainers, owners and racegoers alike, as is protecting the health of the sport's valuable thoroughbred horses. In France, the Laboratoire des Courses Hippiques is taking advantage of Tecan's Freedom EVO® platform to prepare samples for analysis by mass spectrometry in the battle to keep racing clean. Following on from the successful ISO certification of our UK, French, German and Benelux organizations, Tecan is now working towards a company-wide matrix certification, to ensure that our organizations around the world are working in the same way, and are collectively striving to improve the services our business offers. Tecan recently invited customers from around Australasia to mark the inauguration of Tecan Australia as a fully owned Tecan subsidiary, with a series of launch events in Sydney, Brisbane and Melbourne. Tecan is proud to announce its fifth Tecan Symposium, to be held this year from the 23rd to the 25th of October in Boston, USA. This year's topic will be 'Mass spectrometry – the expanding role in life sciences and diagnostics'. The first annual SLAS Conference and Exhibition held in San Diego, California, in February heralded success for Tecan, with the HP D300 Digital Dispenser receiving the SLAS2012 New Product Award Designation. When Tecan established its Beijing representative office in 2004, customer service and support were already important components for the development of our business in China. This was strengthened in 2008 by the creation of Tecan's Asia Pacific Headquarters, with local service manager Hua Zhang and Johann Prossinger, originally from Tecan Austria, tasked with developing the local service capabilities. 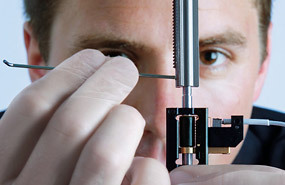 Established in 2010 to celebrate the innovation and ingenuity of Tecan's loyal customers, the Tecan Award highlights some impressive and imaginative uses for the Company's detection instruments. 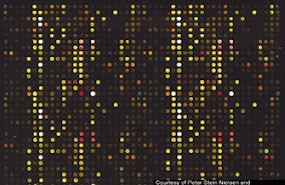 We are pleased to announce that the 2011 award has been won by Svenja Kristina Holle from the University Hospital of Muenster (UHM), Germany, for her work with an Infinite® 200 microplate reader. 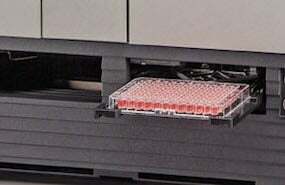 After its launch in 1999, the GENios plate reader became one of the most popular plate readers in the life science community. But, even the best things must come to an end, and Tecan has announced it is ending support for this well established, but past its prime, microplate reader. Gambarou Nippon! Let's do our best together Japan! In the aftermath of the deadly earthquake, tsunami and radiation threat in March, there was widespread fear that this disaster would also impact on Japan's national economy, with the country being left behind in the global market.